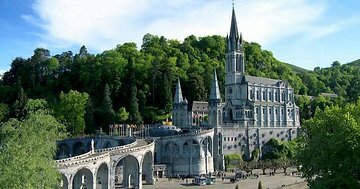 This private half-day guided walking tour of Lourdes will help you discover important sites, and learn about the area’s history. Traveling with a private guide will enhance your experience, as you won’t have to worry about navigating, or doing research beforehand. Your guide will tell you about the history and legends associated with the area, as you visit the main shrines of the Sanctuary of Lourdes.